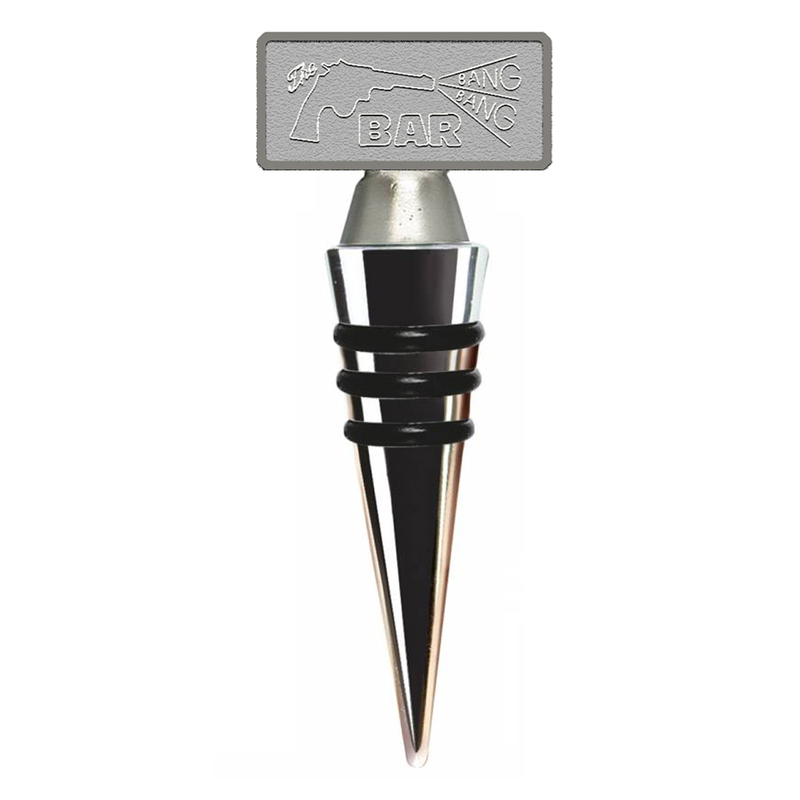 Add to your Twin Peaks collection with the Twin Peaks Bang Bang Bar Wine Stopper. 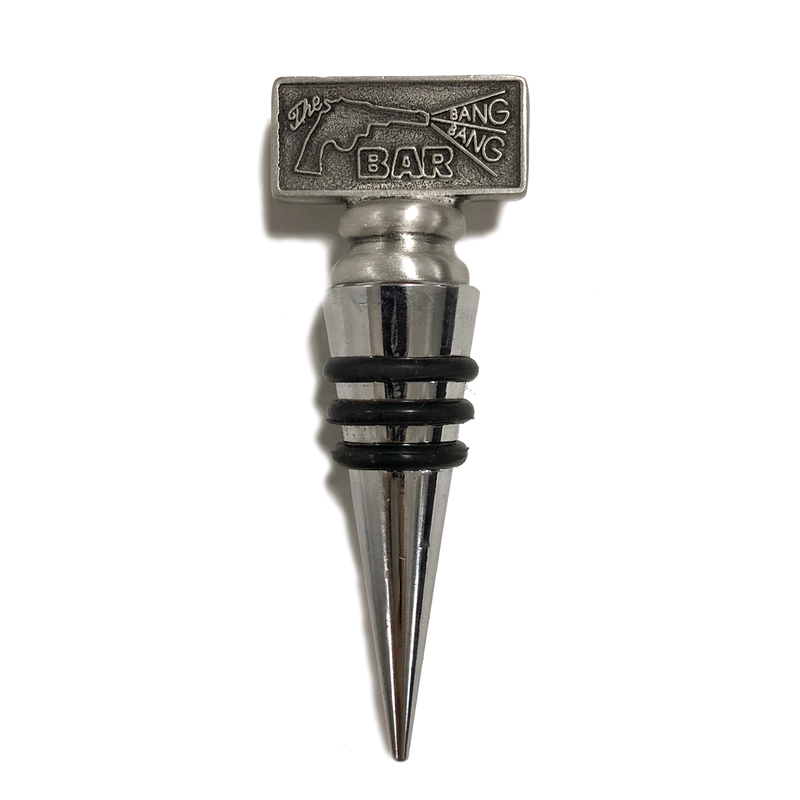 Featuring the Bang Bang Bar logo from the local roadhouse bar, this solid pewter wine stopper is great to give any fan of Twin Peaks. 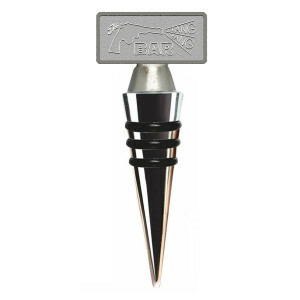  Made of: Solid pewter and the stopper is food quality Chrome finish.